Superdry men's Ryley overhead jacket. This overhead jacket features a panelled design, a bungee cord adjustable hood, front zip fastening, one large front pocket with two zip fastenings and side zip detailing. 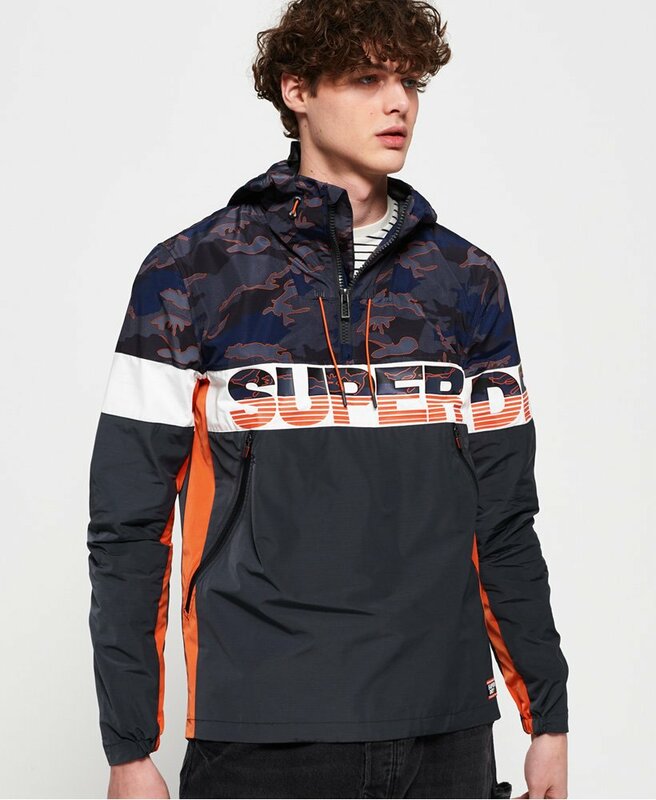 This jacket is finished with a Superdry logo badge above the hem and a large textured Superdry logo across the chest and one sleeve.